Bespoke jewellery brand Gyan Jewels launches the new Blooming Arrow, collection inspired by the distinct of ancient Indian painting. With an innovative design language that amalgamates art and antiques with fine jewellery, this new collection brings an contemporary wearable edge to traditional motifs. Established by Suresh and Arun Dhaddha, alongside Gyan Museum in 2016, Gyan Jewels parallels and activates the unique museum collection, which houses over 2,500 pieces, including antique scrolls and textiles, paintings, medieval jewellery, vintage spectacles, rare inscriptions and decorative art. The museum’s artefacts were put together over five decades by their father, naturalist, collector and gemologist, Mr. Gyan Chand Dhaddha (1940-2004). 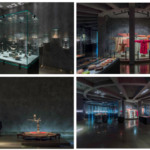 Gyan Jewels furthers the museum’s innovative design and architecture, offering fresh perspectives on Jaipur’s unique and unparalleled history of artisan crafts, art and jewellery. The latest collection by Gyan Jewels Blooming Arrow takes its inspiration from the unique and relatively undiscovered style of Ragamala Paintings. 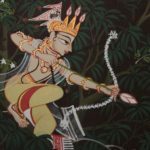 Tracing their history back to the second half of the fifteenth century, Ragamala paintings are often described as pictures of sound. They are visual interpretations of melodic modes in Indian classical music. Translated ‘Ragamala’ means or the ‘Garland of Ragas’, the unifying subject of a ragamala is love, which is evoked as a range of specific emotions (rasa) that have a corresponding musical form. These works thus evocatively express the intersections of painting, poetry, and music in Indian court art, often personifying musical melody into divine or human form. The Blooming Arrow collection, offers a contemporary dimension to these ancient works, bringing to life the elegant motifs, and the distinct language of color, light and form in the paintings, and translating them into a unique selection of fine jewellery that mirrors the patterns and rhythm of music, echoing the subtle colours of vegetable pigments with rubies,emeralds, pink opals & black onyx set in 18 karat rose gold. Gyan Museum orbits around the treasured assortments of naturalist, collector and gemologist, Mr. Gyan Chand Dhaddha (1940-2004). Gyan Museum offers a rare insight into history as seen by Dhaddha and the objects he collected. The museum houses over 2,500 treasured pieces, which he amassed during his lifetime including textiles, paintings, antique jewellery, vintage spectacles, rare inscriptions and objet d’art from around the world. 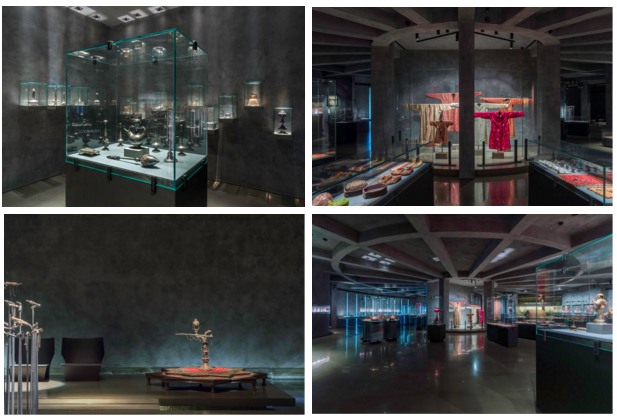 A tribute by his sons, Suresh and Arun Dhaddha, the museum is a signature concept by French designer Paul Mathieu, who envisioned the museum as a space where objects and ideas from diverse provenances and periods would inspire dialogue and new ways for visitors to experience them.